888 Worcester Street | Haynes Management, Inc. 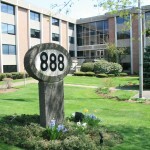 The Wayne Office Park is situated on the east bound side of Route 9 with a U-turn lane in front of the building for easy access from either direction. The two buildings total over 75,000 square feet, thereby offering plenty of room for future expansion. The grounds are meticulously maintained and there is an abundant amount of on-site parking.